I’m not a bold colors kinda gal. When it comes to fashion I stick to blacks and grays. 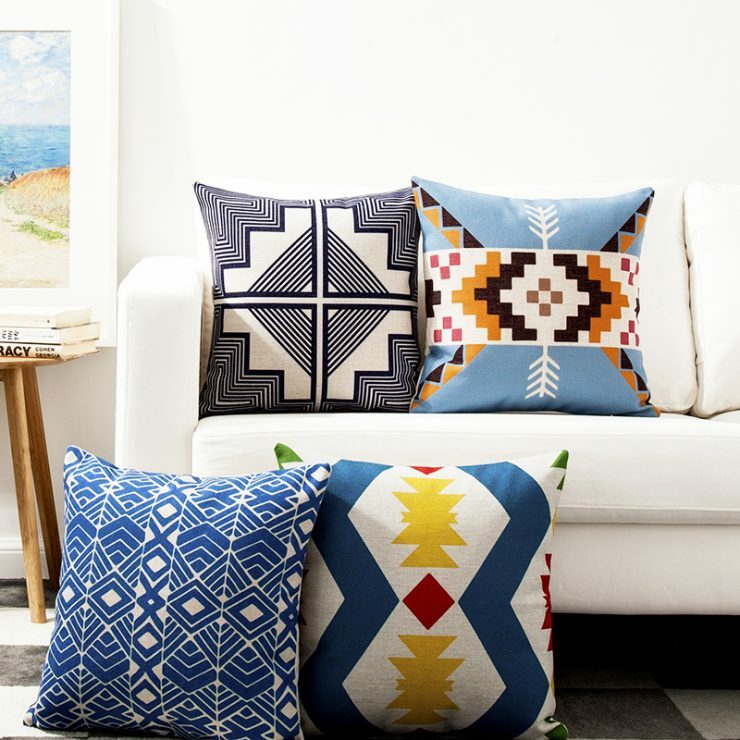 Home decor is no different. I love the muted colors of Scandinavian design and I absolutely love minimalism. This has become a constant source of contention between my sister and I, as I renovate our family’s two fixer uppers. She loves bold colors and prints and we argue all the time about paint choices and accessories. 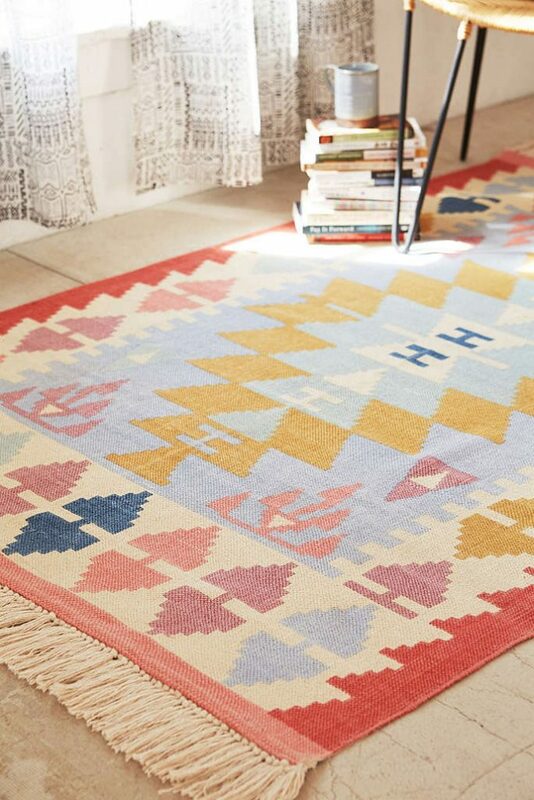 Enter the awesomeness that is kilim. 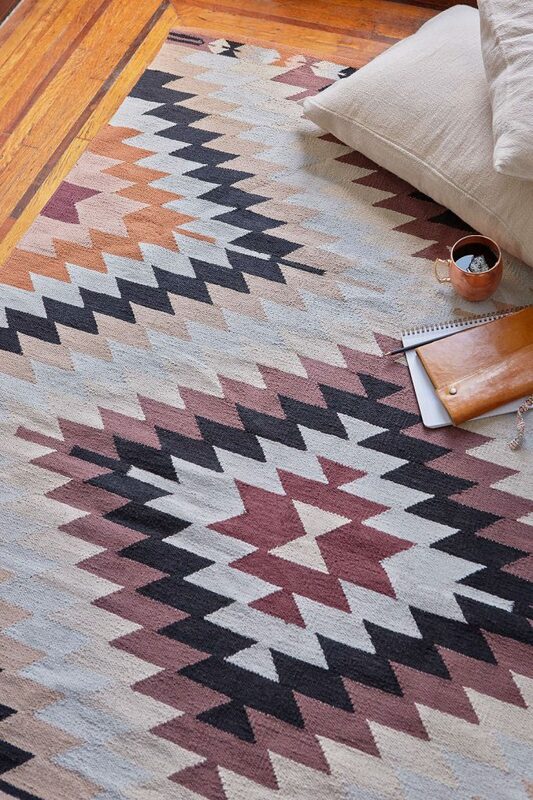 Kilim is a type of Turkish/Persian, woven rug that boasts some pretty interesting patterns and colors. 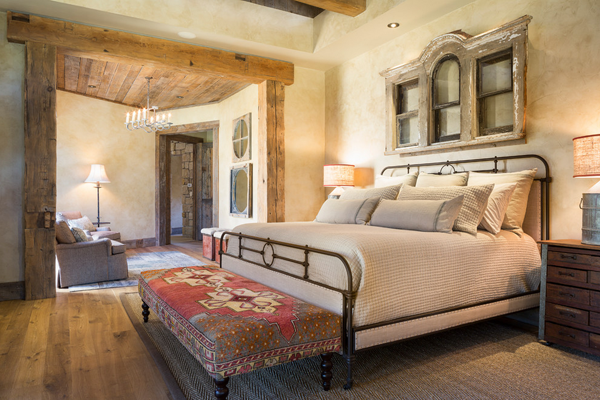 It’s making the rounds in Western homes thanks to shops like World Market and Urban Outfitters, and I think it’s just the perfect compromise between the muted design choices I make and the totally bold choices my sister loves. 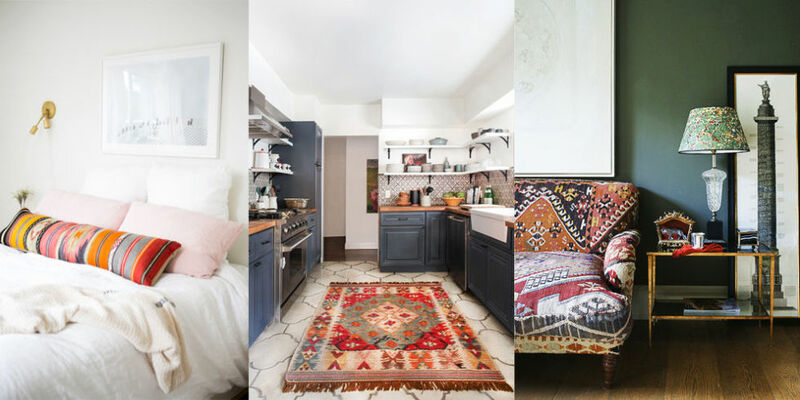 Because of its increasing popularity, you can find kilim print on everything from rugs to throw pillows. Check it out! Me too! It’s so perfect for any style!